4mm diameter stainless steel rope. Two attached stainless steel woodscrew thread fittings. One end with left hand thread, the other end with right hand thread. 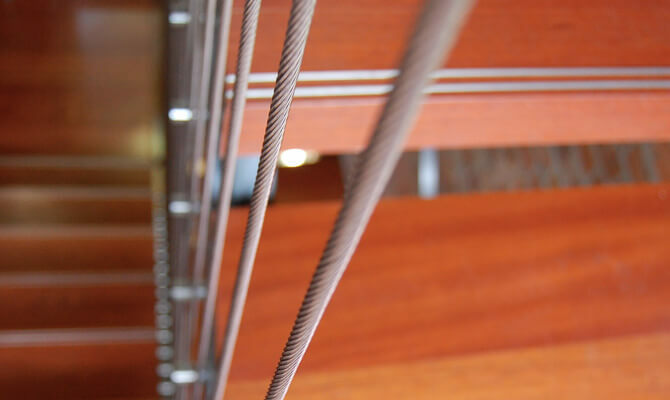 To order, enter the required length of deck railing cable assemblies at Step 2. Measure the distance between the underside face of the handrail and the timber floor surface in millimetres. 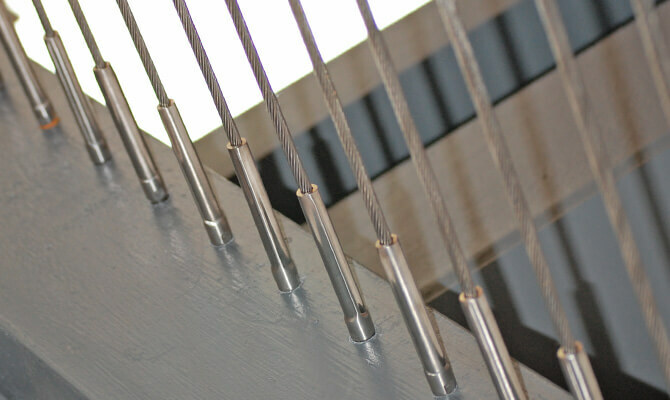 This product is supplied with a wood screw thread and therefore is ideal for vertical deck railing. Suitable for installation on hardwood timber (such as oak). It must have timber top and bottom to screw into. Therefore it is not suitable for installations without some form of top member, usually a handrail. Because the wire is supplied with a right hand thread one end, and a left hand thread at the other, you are able to sequentially screw each side into the surfaces without twisting the wire. A pilot hole is recommended prior to final fix to aid ease of installation.